Bali provincial government began to carry out a feasibility study related to the development plan of Bali toll road project linking South and North of Bali, which through the streets of Denpasar-Gilimanuk. The feasibility study for the Denpasar-Gilimanuk toll road will begin this year. There are seven points that will be built. According to the Deputy Governor of Bali in his statement related to the construction of a toll road in Bali, seven points are located at the four toll roads, that Kuta-Canggu-Tanah Lot-Soka toll road, Soka-Pekutatan toll road, Pekutatan-Gilimanuk toll road, and Pekutatan-Lovina toll road. The toll road is predicted to have a total length of about 156.7 kilometers with the cost of construction of trillions rupiah. The contractor had previously conducted a survey in order to complete the pre-feasibility study, among others, focused on the analysis of the development of the region, traffic projections, the selection of the trace with a review of the environmental aspects, costs and technical, construction cost estimates, economic analysis and financial analysis. Construction of toll roads in Bali are expected to unravel traffic congestion that often occurs in the path of Denpasar-Gilimanuk highway. This pathway is not pernar deserted by vehicles, especially by large trucks carrying goods from Java and vice versa. 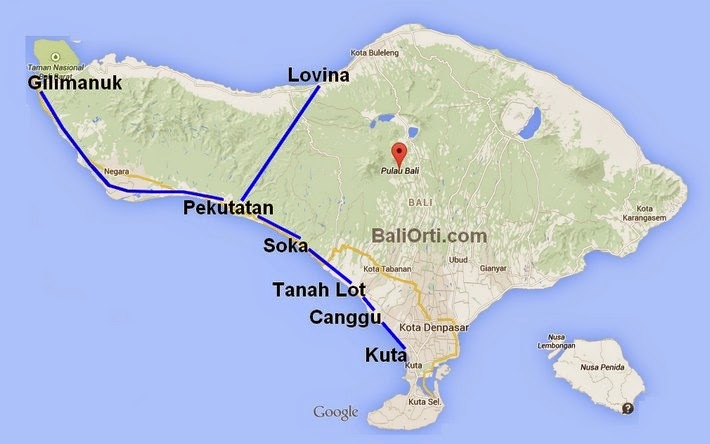 Denpasar-Gilimanuk highway also be lanes for trucks from Lombok Island is heading to Java, and vice versa. Not only a large truck very much, too large buses that pass from morning to night. During this time, Bali does not have an alternative way to connect the west, north, and the southern region. In case of accidents which have an impact on traffic congestion, the traffic flow will be paralyzed. The vehicle is not moving at all. In fact, often have to stay overnight journey.